No aches or pains after yesterday’s 9.8 mile run. I don’t feel as tired as previous Janathons or Junathons (as far as I can remember) and I’m certainly sleeping more soundly. Today I ran a brief 2 miles before 10 am and then I went into Cambridge with Ms Alive and Running. Unusually, we didn’t see any runners in the city centre but there was plenty of evidence that people were walking around (but not briskly). There were a surprising number of people smoking which always shocks me. Given the degree of awareness of the harmful effects of smoking, it feels like a public form of self harm which has continued to enjoy public acceptability. 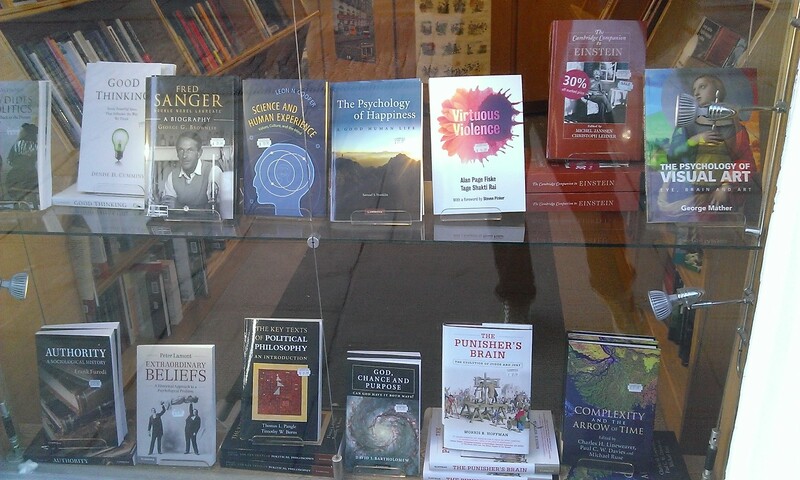 A snap of the Cambridge University Press bookshop window display on the market square. There should be a law against this kind of thing because it tempts the weak minded to waste their meagre finances on books rather than food or fuel. Personal disclosure : I covet one of these books and it shall be mine! I tend to covet books, rather than want them, because it sounds more dignified and reasonable. 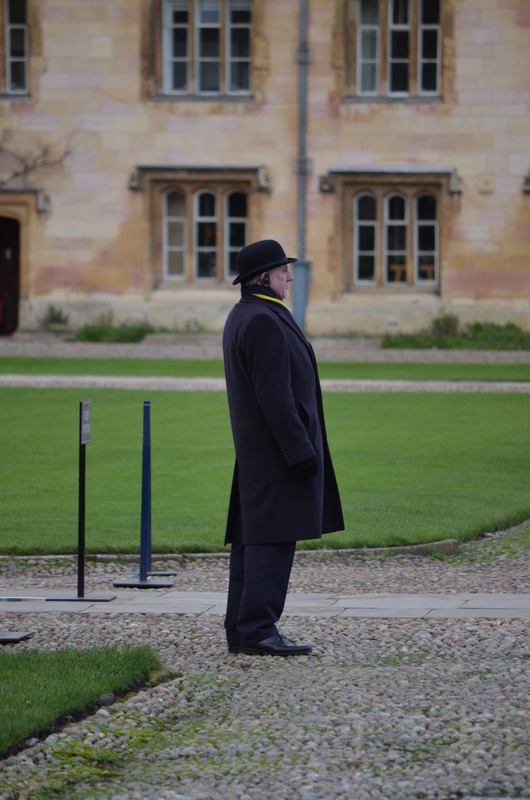 One of the porters of a Cambridge college. I was able to step inside one of the old wooden doors directly off the pavement which open out onto beautiful courts and take this pic. Not clear why he was waiting. It wasn’t open to the public and there were no gilded youths in sight. 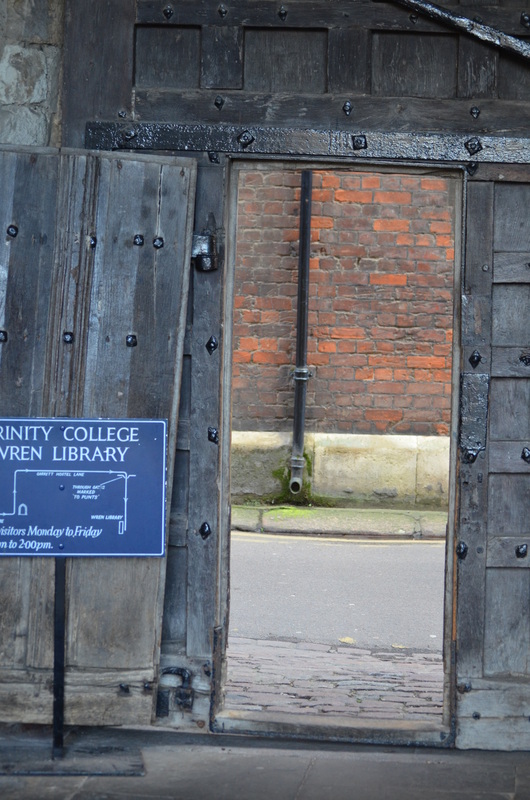 This is the particular old door I walked through to take the previous image. What an ace opportunist I am ? 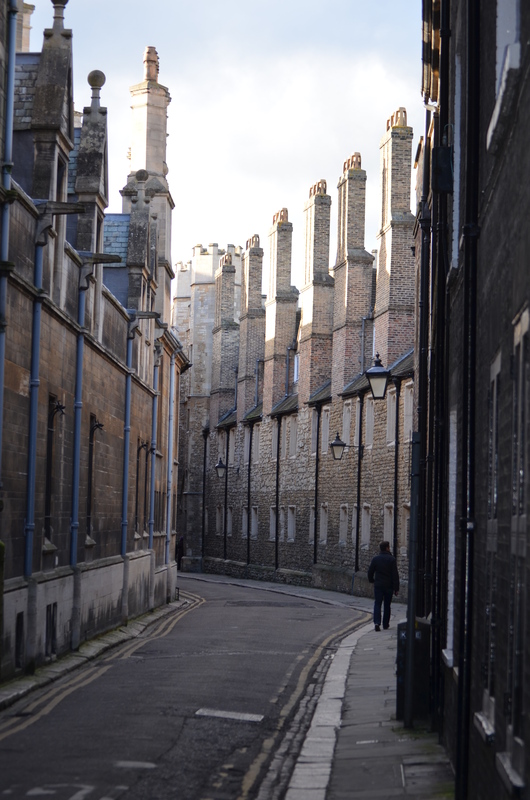 This street is always fascinating (to me). 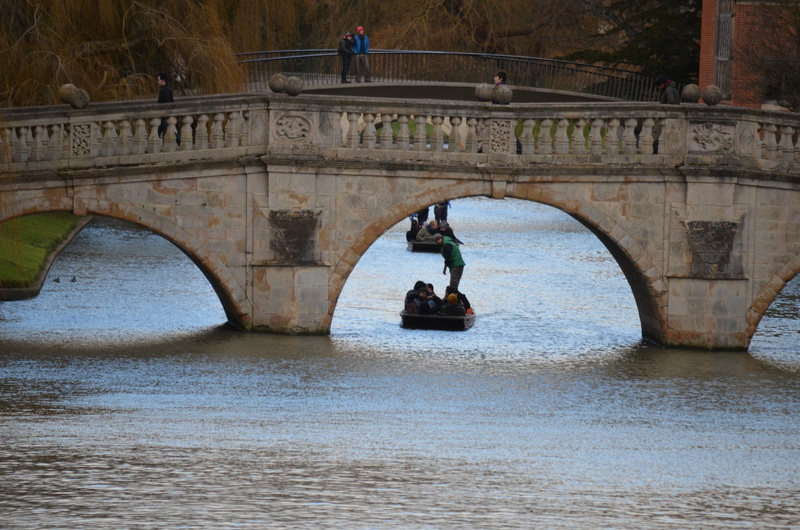 It leads down to the river Cam. 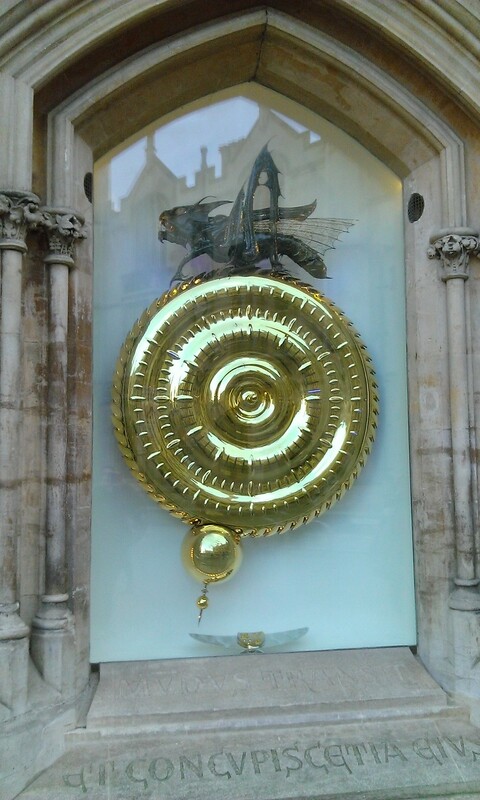 Finally, the Corpus Christi clock. It will tell you the time but only after you’ve worked it out and then checked it on your watch or mobile. This entry was posted in Books, Cambridge, Cambridge bookshops, Exercise and heart disease, Heart disease, Janathon, Ms Alive and Running, Running, Running through Cambridge, running with heart disease and tagged Bibliophilia, books, exercise, heart disorder, Janathon, reading, running. Bookmark the permalink.